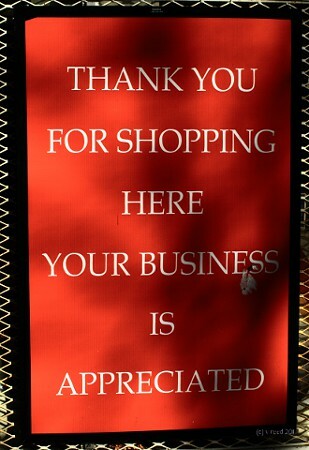 This sign can be seen on the window of a mom & pop on Monroe Center. The owners are very friendly and were the local grocery for the disabled former residents of Morton House apartments around the corner. To be sure their business was affected by the closure of Morton House. Show them some local Grand Rapids love by stopping in from time to time. Thanks to them for their kindness to their patrons. OccupyGR has developed a counter-strategy for Black Friday and overspending in general. They run a Really, Really Free Market every Saturday in their public protest location Monument Park at Fulton & Division in Grand Rapids MI. It’s not what you buy, it’s what you refuse buy. We hope these two events bring a smile to your mug and put cheer in your heart. Happy New Year . . . from vreedwrites and our friends! Totally agree with you and fortunately I never lost my blouse by playing the market. Then again, I never had the cash to gamble anyway. Thanks for stopping by. The stock market is no longer a place to invest, rather a place to gamble. You aren’t investing in the future of a company, you are simply trying to make a quick 5 and then get out. There is so much volatility in this company that putting your cash into it is just too not worth it. Buy bonds instead and wait patiently.